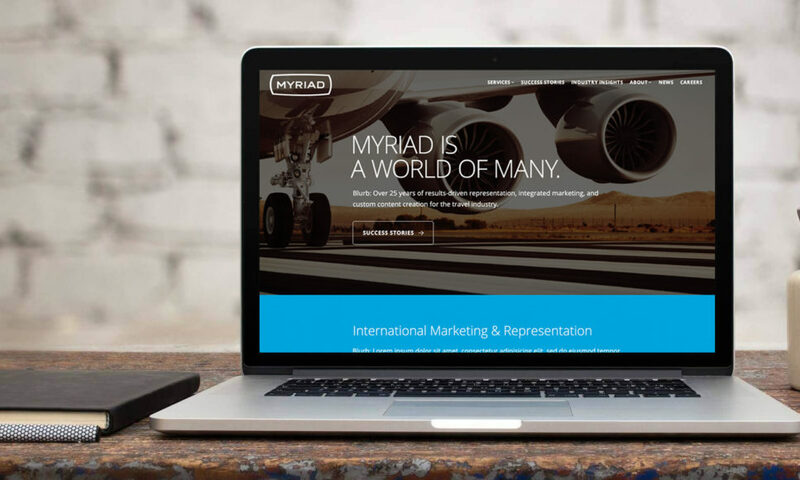 Myriad Marketing underwent a major rebranding and wanted their new site to reflect the jetsetter and wayfaring attitude of their international destination marketing practice. Their existing website had a large amount of content that needed to be seamlessly ported over. 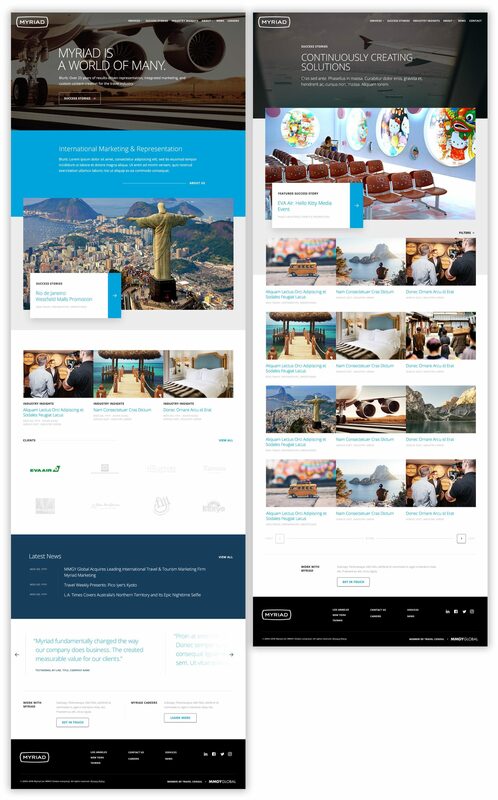 I worked closely with the creative team to develop a site that kept true to their brand, and directed the backend and frontend development of the website. This including writing code to support a complicated taxonomy of services that could be integrated with multiple content types, and quickly filtered by consumers.